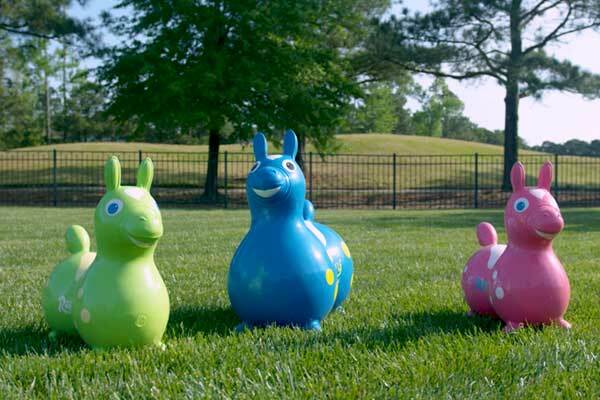 Gymnic's Rody, Gyffy, Raffy and hop balls help develop balance, movement skills and coordination. 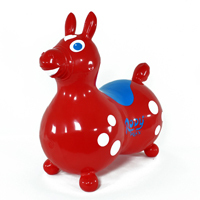 The Rody horse is a funny and valuable support for the body movement. 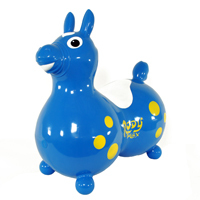 It helps improve and harmonize your child's trunk, legs and arms muscles. It has been adopted in many nursery schools as psycho-motor tool. It is used by therapists to enhance language, memory and perception skills. 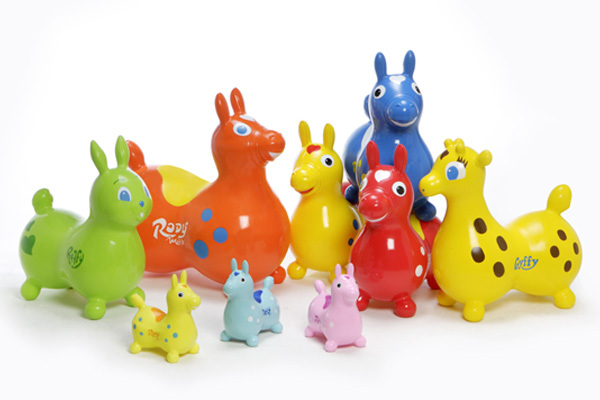 However it is mainly an involving and relaxing toy, a pleasant and calming entertainment, which stimulates group activities and relations. 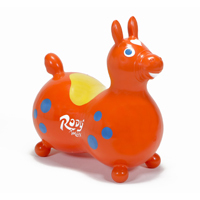 Since its first appearance on the market in 1984, Rody has been greatly appreciated by children because of its rounded design, its resiliency and softness. 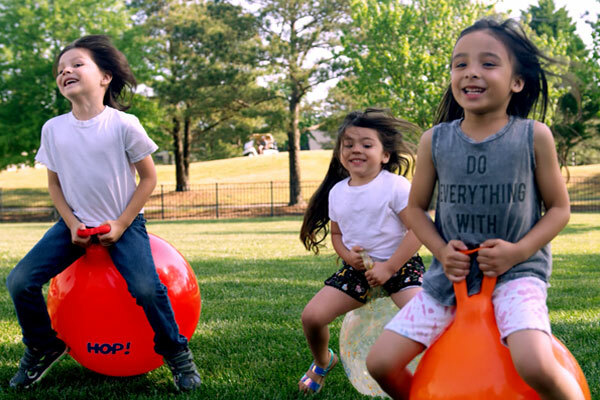 The Hop Balls are a dynamic toy which fosters children's coordination and balance, by combining amusement and healthy motor activity. 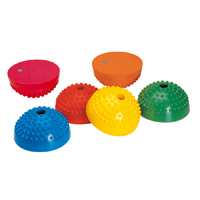 The grip safety is provided by the soft one-piece handle, which is manufactured in the same material as the ball. 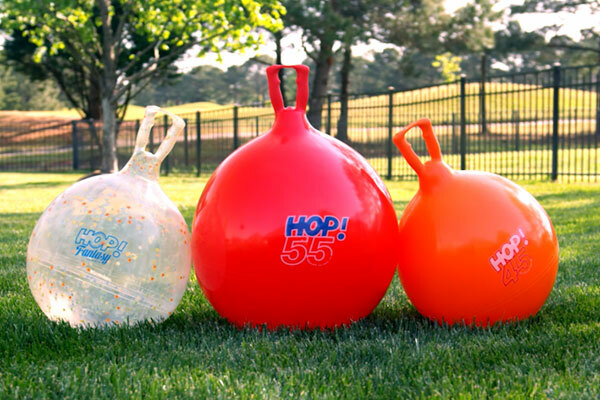 The Hop balls can also be included in motor activity plans to carry out involving and innovative exercises, thanks to the use of the handle.